Do you live in or near south-western Sydney? Are you looking for a beach getaway for the weekend? Are you trying to keep your vacation on a tight budget? If you answered ‘yes’ to all these questions, then Wollongong Surf Leisure Resort is the right place for you. We offer holiday accommodation in Bulli, just a short walk from gorgeous stretches of patrolled beaches. We are as close as any beach for residents of south-western Sydney, which means you won’t have to go to much hassle getting to our location. Once you’re here, you’ll have a full weekend of relaxation and fun in the sun as your reward. Aside from accessibility, proximity to the beach and a variety of other attractions—including a large indoor pool, rental bikes and an on-site mini golf course—what sets Wollongong Surf Leisure Resort apart is our accommodation. We know that our guests run the gamut, from weekend escapers to multi-week vacationers, all the way to permanent residents. We also know that our guests have parties of very different sizes, from solo travellers to families, sports teams and business groups travelling for trips, events or conferences. To meet the needs of all these different groups, we offer a wide range of accommodation options at Wollongong Surf Leisure Resort. Are you travelling alone? We have multiple one bedroom or motel style apartments and cabins that will suit your needs perfectly. Are you travelling with others? Our smallest accommodation can sleep 3-4 people, while our largest designs can sleep 6-7. You can also bring your accommodation! In addition to apartment, cabin and bungalow-style accommodation, Wollongong Surf Leisure Resort is also a Bulli caravan park and campsite. We offer powered and non-powered camping sites. Rent a caravan site near the beach and enjoy the beautiful vistas of our property. Alternatively, bring your tent and rough it under the stars for a few days—also near the beach and close to our other amenities. Our flexibility of accommodation options at Wollongong Surf Leisure Resort makes us a go-to choice for trips and vacations. Especially if you are planning a last minute weekend escape, it’s nice to have all the selections that we can provide. You don’t have to scramble to get the last hotel room or wonder how you are going to find sleeping space for everyone in your party. With options for both camping and self-contained accommodation, Wollongong Surf Leisure Resort makes it easier to tailor a trip so that it’s precisely what you want it to be. 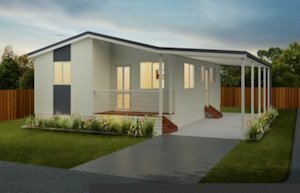 Are you looking for Bulli cabins, caravan parks, campsites or motel space? If so, give us a call at Wollongong Surf Leisure Resort or start browsing our accommodation options online. You will be able to find details on each dwelling option—including price—on our website, but you can also feel free to contact us directly if you have any questions.